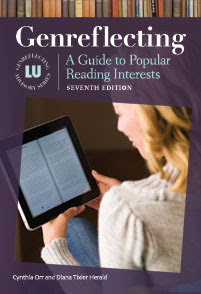 A Guide to Popular Reading Interests, Seventh Ed. Motivate teens to read and boost your circulation with some 1,300 popular titles, organized by subgenre and theme to help you identify read-alikes and pinpoint books for readers who range from reluctant to rabid. 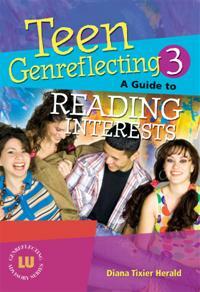 This highly anticipated third edition of the best-selling Teen Genreflecting covers over 1,300 popular titles in a wide variety of genres. Most of the titles (approximately 1,100) are new to this edition and have been published in the last five years. Brimming with practical tips and information on teen readers' advisory, genres, publishing trends, and building a collection, this is a one-stop guide for teen librarians involved in readers' advisory or collection development. Help teen readers find the books they love to read—from contemporary realistic to fantasy, graphic novels and historical fiction. With 1,100 new annotations, this guide organizes and describes some 1,300 titles, most published within the past five years, indicating not only where they fit in the genre scheme, but also the general reading level and any pertinent awards. In addition, each genre and subgenre is defined; and current trends in publishing and teen interest, readers' advisory services to teens, and collection development are discussed.